local retailer, the opportunity to start selling the things she always loved making with her hands appeared. 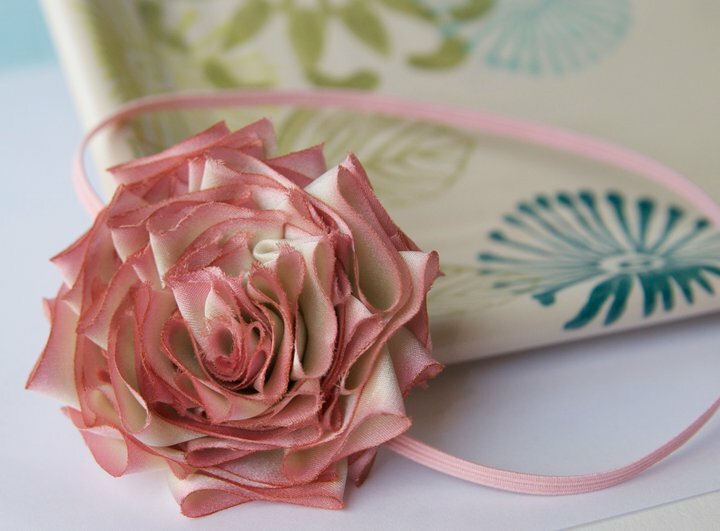 Ideas began to flow through her mind, ribbon and fabric started to pile up, and her "secret lab" in their basement became a refuge of creativity for her. It's a place where she began to learn to express herself as an artist and to allow the gift God has given her to flow through her hands and into the work she loves. just had to see about getting some for Sweet Pea. 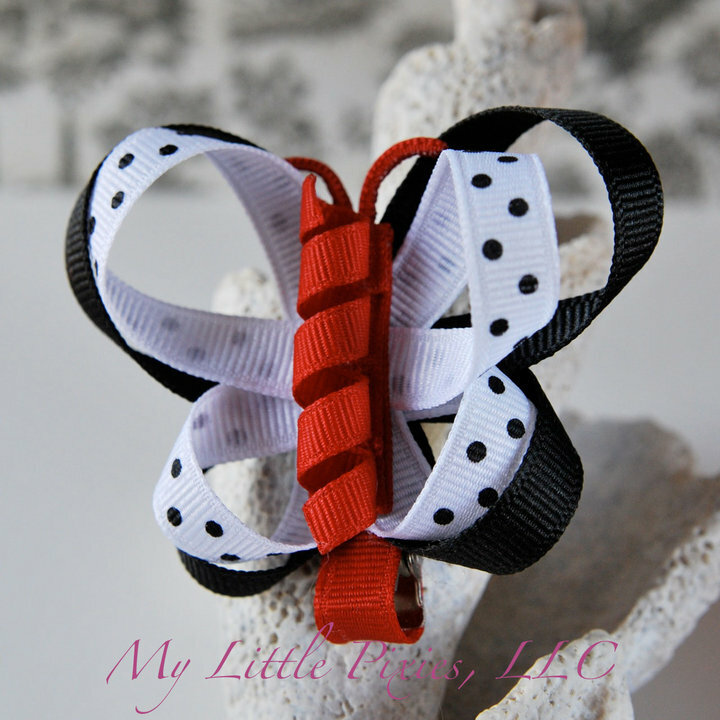 Sweet Pea was given two headbands and a butterfly hair clippie to review. I have to say when I got the package with the hair clippies I couldn't believe how beautiful they were. it looks in the photos. 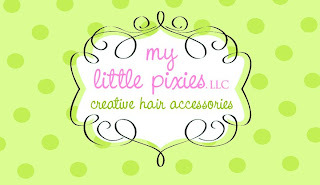 My Little Pixies hair pieces are all handmade and crafted very well. I love that the materials used to craft the hair pieces are not rough and hard. They are soft which is what I love on Sweet Peas little head. The headbands did not leave indents on Sweet Peas head either like the store bought headbands do. WAHM who is making quality pieces over a mass produced cheap product. +1 Follow "Andersons Angels" via Google Friend Connect Publicly and go to My Little Pixies and tell me which of her items is your favorite. This giveaway will end on April 29, 2011 at 10:00 pm EST. to be honest when giving a review. Giveaway items will be mailed to winner by My Little Pixies! 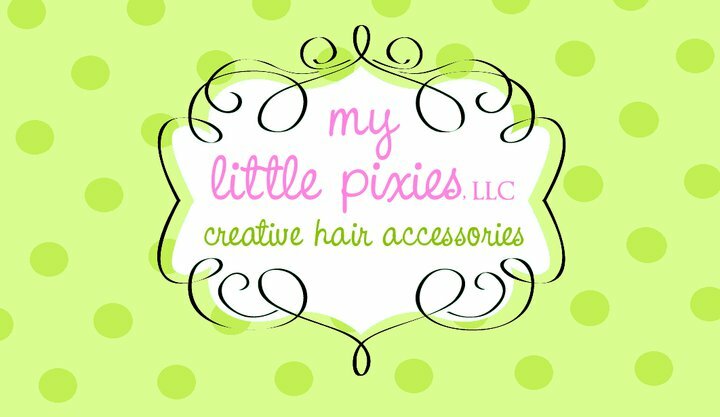 I follow your blog, and I love the newborn hair set! It's so cute!! 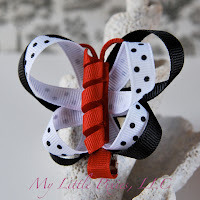 Follow on GFC and LOVE the small butterfly bows in rainbow stripes! I follow with GFC as Donna Jenkins and I love the multicolored candy hearts clip! I <3 the Pixie Posies!!! I'm following you on GFC. My favorite item is the bright purple and blue sparkle felt rosette headband! I like My Little Pixies on Facebook user Lisa Garner. 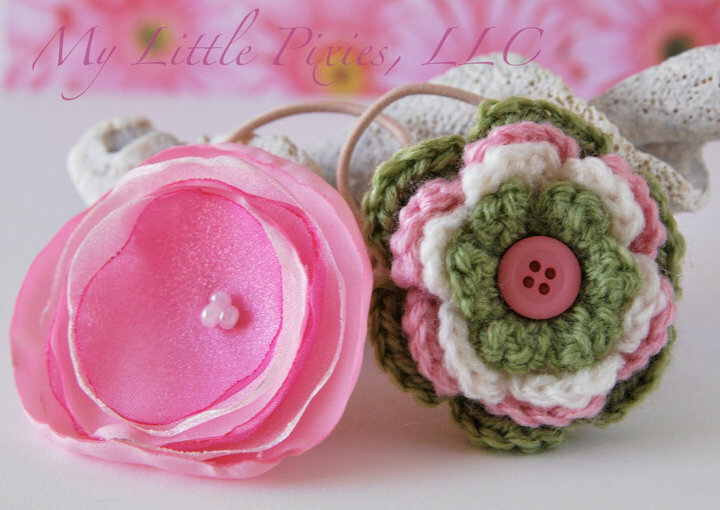 I entered the Greenchild Creations giveaway!